It’s all about E3 this week and with that in mind, all aboard the hype train! Along with a slew of other teasers and announcements Bethesda yesterday told fans about the new mobile game based in the fallout universe. Clever marketing, Hype generating mini game or legitimate mobile game endevour? Let’s find out. 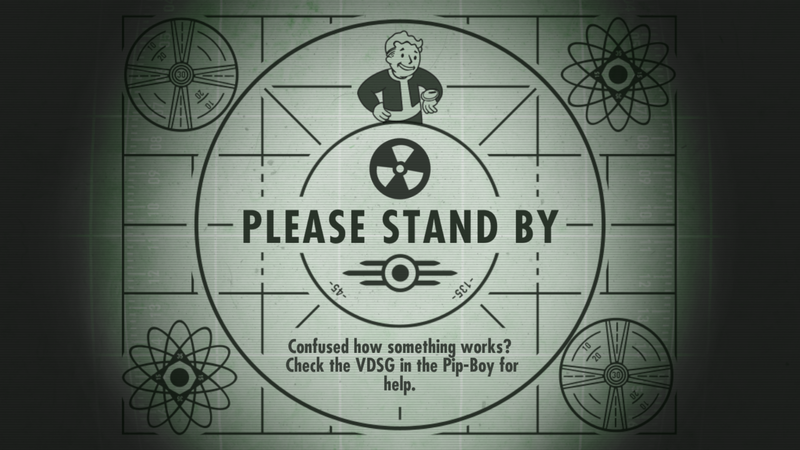 Greeted by the familiar Fallout “Please stand by” screen I make my way into my first try as a vault overseer. The usual quick fire tutorial and I’m on the game, having learnt how to add new rooms and fill them with hard working vault inhabitants. The layout is very reminiscent of the base system present in the popular Xcom : enemy unkown. During the presentation at E3 Bethesda were happy to play on the fact that the game isn’t as greedy as some other mobile games of late. And that much rings true at least. Fallout shelters has yet to make me feel the need or even urge to buy something. In fact, I had to go looking for the in game store myself as unlike some other games the tutorial did not introduce me to it. A pleasant surprise. After setting up my power station, water treatment and living quarters during the tutorial it’s time to set up a diner and get some new residents. Tapping on a vault dweller pulls up a small menu with 2 equip slots and their s.p.e.c.i.a.l stats which fallout fans should be familiar with. 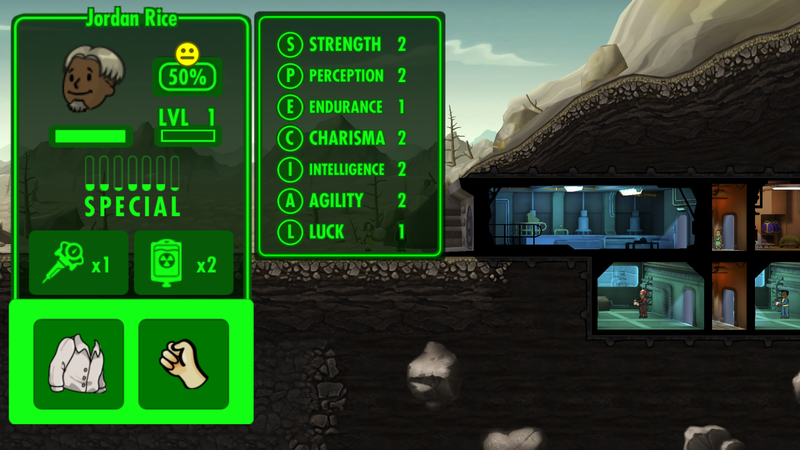 These stats make a significant difference in the placement of your dwellers. Each room has a specific stat that it requires to function optimally. Place a dweller with too little strength in a power generator and you will produce significantly less power. Matching these stats can be an interesting and somewhat rewarding experience. There are three key ways to expand your populace from here. Sit and wait for dwellers to arrive at your door, get special dwellers from vault-tec lunch boxes obtained via the store or completing objectives or place a male and female dweller in the living courters together and they may have a child. 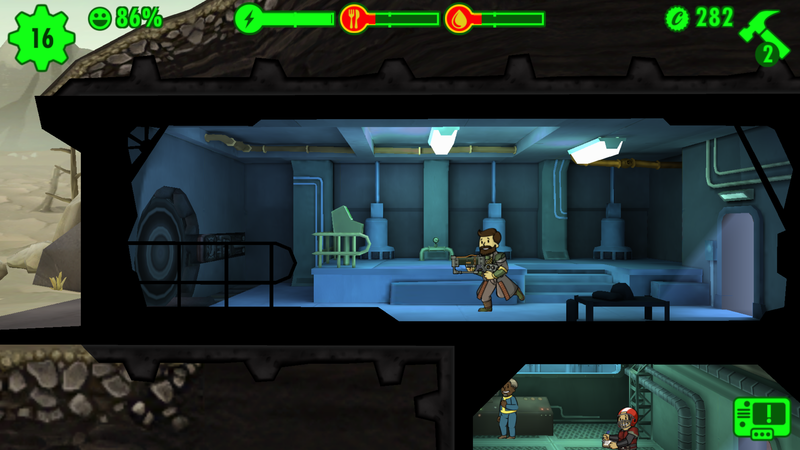 And just like that I have my first vault born. Once you’ve settled and all is going well all that’s left is to expand, focus on gaining dwellers, comple objectives for vualt-tec style lunch boxes and lastly, send dwellers into the wastes to see what spoils lie in wait. While rather shallow the addition of exploration is a welcome one. Simply place a vault dweller outside, equip them with some armour and a weapon and off they go. 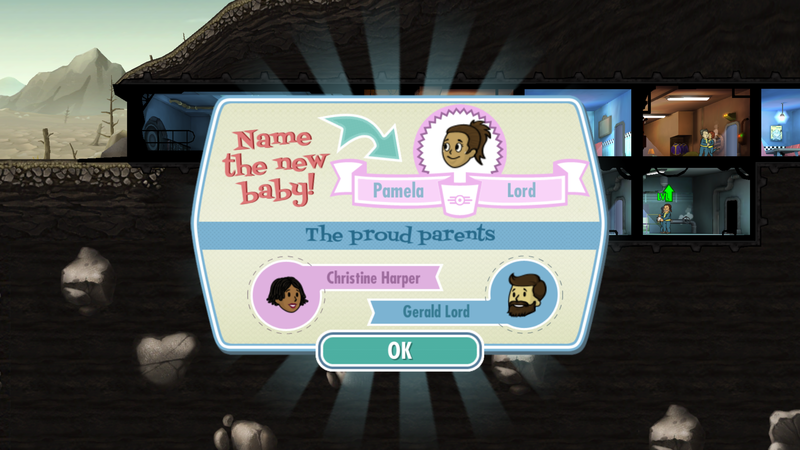 While slightly lacking in active content and multiplayer functions, the waiting game that is Fallout Shelter may be essentially a marketing ploy or another car on the hype train. But is surely is one worth playing. If only to wet the appetite for the HD glory of Fallout 4 come November. This is a review in progress, details may be updated in time. This entry was published on June 15, 2015 and was updated on October 10, 2015 / Verdine Daniels. Posted in News and tagged discussion, game play, Games, new release, reviews. Bookmark the permalink.